Undeveloped land in northeastern Arizona was purchased for an organic vegetable farm and orchard. However, the lavender purchased for landscaping became an unexpected boon with its beauty and commercial value. Starting in 1998 with the first field of lavender, the farm now has 35,000 plants. It was the first commercial lavender farm in Arizona. In the begiining. products were made from the dried lavender. Purchasing a distillation system provided the opportunity to produce esssential oil for the product line. Early on, a greenhouse was added for commercial lavender production. The business has grown to include an annual lavender festival, farm store, online store, wholesale customers, lavender plant sales for landscaping and commercial use, consulting services, and speaking engagements. 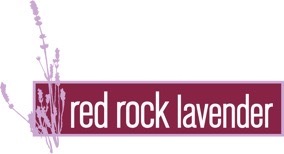 Red Rock Ranch and Farms LLC, located in Concho, Arizona, grows several different varieties including Provence, Grosso, Royal Velvet, Buena Vista, Vera, and Munstead. In addition to the plants in the ground, the lavender farm has lavender plants in the greenhouse for sale to people who need plants that are acclimated to grow in similar type climates and altitudes. The lavender is harvested by hand each summer. The lavender is grown in the pristine climate of the White Mountains of Arizona at an elevation of 5,100 feet. Lavender grown at higher elevations exhibit a higher ester content than lavender grown at lower elevations. The environment and ecosystem of the White Mountains is optimal for producing intensely fragrant lavender with a scent that endures. The lavender plants are nurtured in ideal growing conditions: virgin soil, clean air, and the purest spring water. At the time the farm started, lavender hadn’t been planted in higher elevations in the U.S. As it turns out, lavender is very tolerant at higher elevations and attracts bees, hummingbirds and the beneficial bugs and even deters what one might consider the bad. Lavender is deer and rabbit repellant. This makes it a one in a million type plant that everybody loves to have. After planting the lavender and letting them go through some harsh winters and summers, it was evident that they would survive and actually did quite well due to the fact that they like to go dormant. At Red Rock Ranch and Farms, where they go dormant, all the strength is not being put into the plant itself, but rather in the root system which is important for lavender and keeps them healthy. Myriad products are made under our Red Rock Lavender line from the dried lavender and lavender essential oil that is steam distilled on the farm. 100% pure high elevation lavender essential oil and lavender hydrosol is produced from our state-of-the-art distillation system. High elevation lavender essential oil has a well balanced fragrance that is superior to many others and is often the choice of aromatherapists.